This President’s Day was extra special! Preparation began over a year ago at Stake Conference. 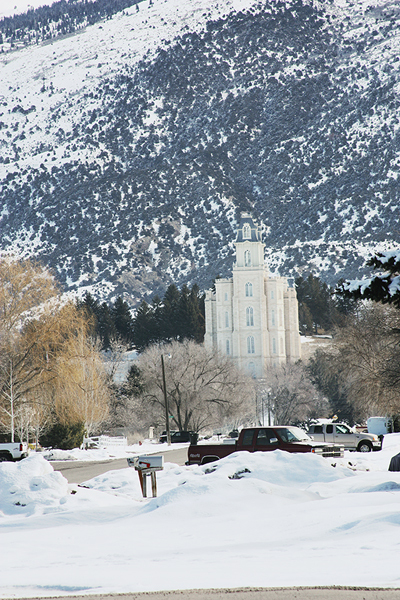 We were told of the wonderful opportunity for our stake to worship in the temple for President’s Day 2011. 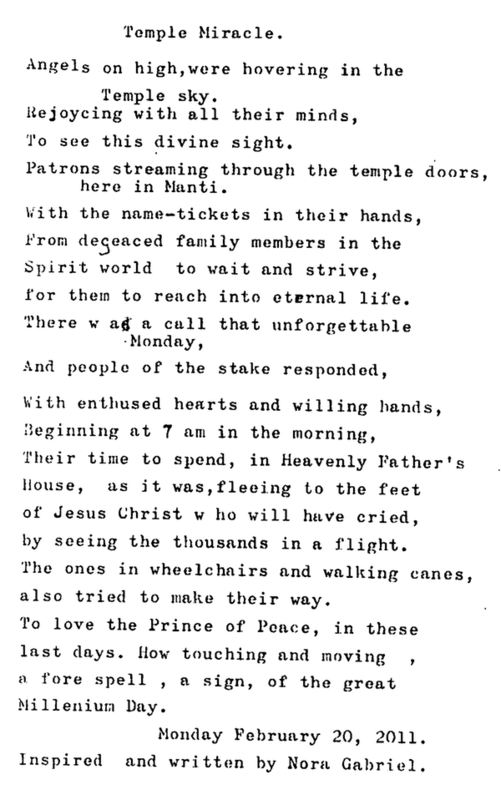 Temples are usually closed on Mondays, but this year it was open from 6 a.m. to 2 p.m.. All the temple ordinance workers were from our stake and everyone that worshipped in the temple was also from our stake. I thoroughly loved being surrounded by people I know and love. Photo taken on February 21, 2011: President’s Day. This is the view from our front yard, specifically by our tire swing. We are so blessed. 3695 ordinances were performed in one day. How wondrous to be a part of this redeeming work! All temple cards were also provided by the members of our stake. We were encouraged to search out relatives that still needed temple blessings. Those that found success were able to share with those not able to find the names or the time. There were plenty of cards available. I was able to perform the temple blessings for my father’s father’s sister. I know that would make her my great-aunt, but the first way gives the exact relation. 🙂 It was wonderful to be able to do all the ordinances over a long weekend. Jim Bob and I went the Friday before to perform baptisms, confirmations and initiatory and then went Monday for endowments and sealings. I am glad we followed that suggestion. It was so peaceful and quiet on Friday and so bustling and joyful on Monday. Both were wonderful and I’m glad we got to experience both. One of my sweet friends in town, Nora Gabriel, wrote this poem about the day. This is so neat! I keep having these thoughts that I need to do family history. It feels so overwhelming. I guess you just start where you are though.